One of the most effective ways to measure your customer’s happiness, loyalty, and likelihood to refer you to new customers, is with Net Promoter Score or NPS. This simple, 10-point rating system allows you to quickly gauge your customer’s overall satisfaction and is also designed to tell you who among your current customers are your most ardent supporters. Used appropriately, this can become a powerful weapon. Not only can it help you drive an increase in happiness and improve the value that you create for your customers, but you can also use it to identify both advocates, who may be willing to help you amplify your message, and customers who are on the cusp and may be about to leave. On a scale of 1 - 10, how likely are you to recommend this product/service/brand to a friend? Don’t be fooled by those who give a 5 or 6 rating, this group is solidly comprising those who are unhappy with your product or service. These people are likely to deter others from buying from you and may damage your brand. Passive customers are those who are generally satisfied, but they are not very enthusiastic about their experience. They aren’t likely to hurt or harm your brand--and they may also be easily swayed by a competitor offering a lower price or slightly improved product. Now, it may be surprising that the NPS scale is so heavily weighted--only those who respond in the very top of the range are said to be true promoters of your company. But this model shows that only those are the most enthusiastic about your company and truly feel they have received an exceptional experience will be willing to actively promote it. Although each individual score from the NPS survey may be important, ultimately your company’s overall Net Promoter Score will be measured in aggregate. 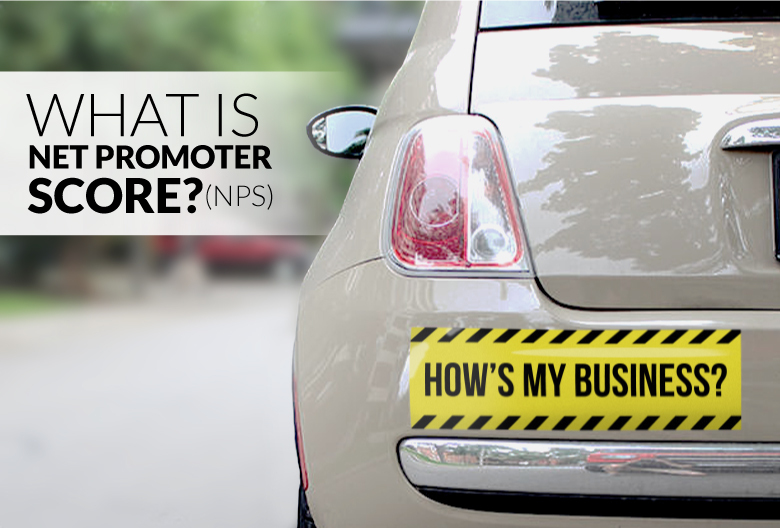 Then your overall Net Promoter Score would be 20 (40% promoters minus 20% detractors). The Net Promoter Score can range from -100 (all detractors) to 100 (all promoters). Anything positive means that your company has a higher percentage of promoters than detractors--that’s usually a good sign. There’s no “optimal” or “average” NPS that’s applicable in all cases. Different companies, products, services, and industries have their own nuance that make the NPS difficult to benchmark and compare in different scenarios. But it is useful as a measurement of company performance over time. Your company should use NPS as a way to gauge overall customer satisfaction and then create systems and processes aimed at improving it each month, quarter, or year. Track the performance over time and see if you can identify correlations between specific practices and their impact on measured satisfaction. While this measurement of your customers’ overall satisfaction can be revealing and informative, it’s important to remember that it’s simply an indicator of the overall experience that your customers are receiving. 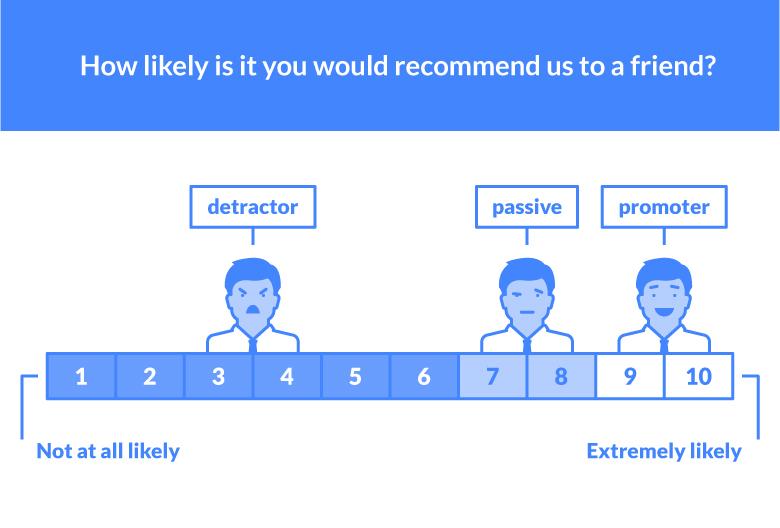 In other words, to effectively use and improve Net Promoter Score within your company, you should dig into the underlying factors that influence how likely a customer is to recommend your product to a friend. When you dig into this data, you’ll find the useful and actionable insights you need to make improvements. Obviously, there’s no one-size-fits-all solution to improving NPS. But this kind of approach is a tested way to take the quantitative data from your NPS survey and turn it into actionable, qualitative data that you can use to improve your customer experience. Don’t be afraid of negative feedback. Embrace it as an opportunity to learn and improve. Many companies choose to bury their heads and ignore complaints of their customers as one-off problems or people expecting too much. In actuality, that feedback can be critical to success and may help push your product or service into a new and more successful direction. But you have to collect and use the feedback first. The fact that your company is making that investment is a great sign that customers will hear loud and clear.